The continuation of the compelling Rose saga. After her lover, impetuous young G�rard de Arnay, is killed in a riding accident, Jenny Heron makes her way to England. Though she will always remember her first love - indeed, while she carries his child he cannot be forgotten - she is determined to put the heartbreak she suffered in the Loire Valley behind her. 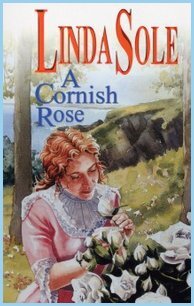 But the events surrounding Jenny's own birth remain clouded in mystery, and when the mysterious Philip Allington reappears, and insists that she re-establishes contact with her Cornish grandmother, she is unable to resist untangling the secrets of her past.